Cycling is a fun sport that has numerous health benefits. While enjoying the outdoors on your bicycle, it is important to wear a helmet. Wearing a bike helmet helps to keep you safe in case of a crash. Studies have shown that a large percentage of bicycle related deaths occur due to head injuries. Wearing a helmet can help to prevent 50% to 85% of head injuries that occur during riding. It is important for both children and adults to wear helmets every time they ride their bikes. There are different types of helmets available in the market. It is important to find the best helmet for your needs so that you can have a comfortable and safe riding experience. When you have a comfortable helmet, you are more likely to want to wear it, don’t you agree? Bicycle helmets come in various types and they all differ in size and weight. It is important to test the helmet in order to determine the right size. One way to determine the right size is by considering the function. There are helmets that are made for different occasions such as road helmets, mountain helmets, and even those made for sporting events like triathlons. Those who take part in more dangerous biking activities, like the BMX riders, require more specialized full-face helmets. The difference in the helmet will be in weight as well as the materials used, and other factors like air flow. All these factors will determine the cost of the helmet. Different manufacturers have their special designs and it is up to each individual to choose the type that is most suitable for their needs. Bicycle helmet designs are created with certain design concerns in mind. The basic road helmets are mainly geared towards maximum coverage. Factors like weight and airflow are taken into account during the pricing. Manufacturers try to ensure that the helmets are as comfortable as possible. Some specially engineered and advanced bike helmets are made to accommodate cycling sunglasses. Aerodynamics and other advancements are used to manufacture top of the range helmets. It is important to choose a helmet that is versatile and can be used in all seasons. It is important to carry out research on the helmets available before you purchase one. The choice you make will ultimately be determined by your budget. Find out who the reputable manufacturers are and consider buying their products. This will help to ensure that you get the best quality helmet in the market that fits both your budget and your head. The helmet you choose should be able to protect the head effectively. Do not go for style over safety. The helmet should be at head level and should be a firm fit without being too tight. The best colors to select should be bright ones that allow motorists and other riders to see you. It is important to make sure that the helmet you buy is certified by the relevant standardization agency. 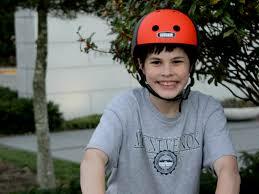 You should only buy helmets that are tested and certified by the CPSC or Consumer Product Safety Commission. This will help to ensure that all safety standards have been adhered to. Most leading helmet brands comply with the certification. When buying a full-face helmet, you should make sure that you check all the additional safety certification. This is a helmet that is designed for high-risk activities and it requires higher safety certification. You should always choose a helmet that offers you the best visibility. If a helmet blocks your vision in any way, you should not wear it. You should also decide the amount of ventilation you need. Where you live or the weather in your region can affect the type of helmet that is most appropriate. If you are cycling in warm weather, you need a helmet that has more ventilation than those cycling in cool climate. The ventilation will help to prevent perspiration from getting into your eyes, which can be dangerous as it hampers your vision. It is, however, important to ensure that you do not go for too much ventilation as this can mean less coverage for the head. Road helmets come with a lightweight strap that helps to ensure that the helmet fits snugly on the head. Adam Stew is crazy for bicycle and mountains cycling. He writes blogs which deals with the information related to different bicycles events, bikes advocacy, Cycling accident claim and bicycle businesses.